Available at Amazon: Click Here to get your copy. 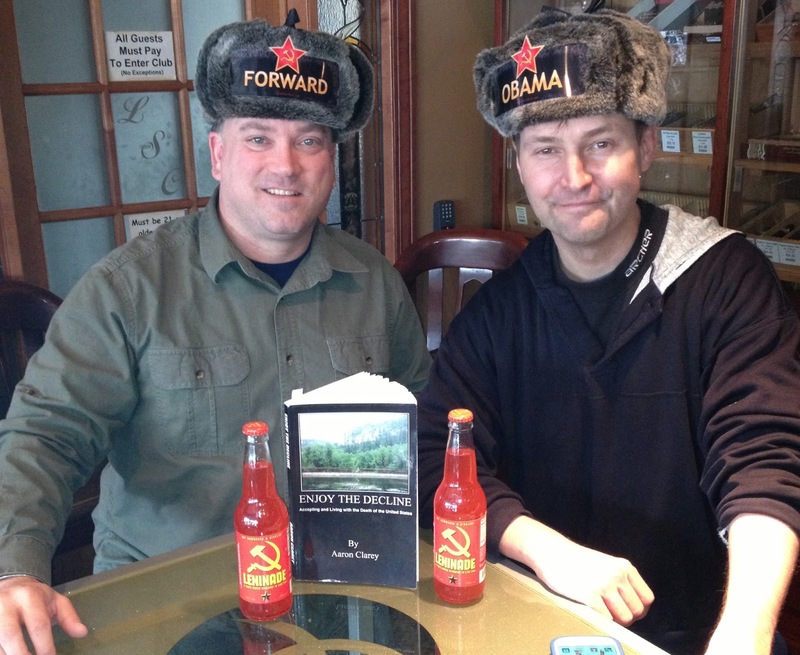 As you know, we are comrades with author, blogger and hat evangelist Aaron Clarey. We posted a publication announcement on January 8th of his latest book - HERE. We finished the book today and we have been anxious to share our thoughts. This is 204 pages of tough love. Every reader will be taken aback somewhere in this book. But there will be little doubt author Aaron Clarey is speaking from experience and speaking from the heart. He wants to help you re-program your mind. To understand what is happening, what is to come, and how to best adapt to the new realities. Whether we'd like to admit it or not, the fact remains the US economy, in its current state, is not sustainable or feasible in the long run. It will collapse. Any chance of turning it around and having a viable economic future was destroyed when the American people voted for hope and change instead of reality and math. This book is written from the perspective that America is in decline, and will never be restored to the country our founders built and we all loved. If the new reality is to demonize the rich, then read Clarey's advice on staying under that radar. To reject your new role as the host for Obama's parasites. Have more fun with less money. Some great ideas. It is the parasite-host relationship that should give people the anger necessary to forgive themselves for pursuing leisure over labor. You'll get the sense early in the book that the author is speaking to men, and mostly young men. Advice on career, college, children, marriage, and living a "minimalist" lifestyle is clearly for younger adults. And you'll easily visualize the author wishing he could go back in time and tell himself this advice. A weekly visit to a church offering free meals will save up enough for a cell phone bill. Getting that vaccination at the local community center saves you the money for the newly released video game you wanted. And picking up free clothes at the local thrift store eliminates $500 in expenses per year. Taking free stuff whenever you can is simply logical and economic. But the author is targeting older men too. Working-age men who are either in the 20% out of work, or stuck in that other mind-numbing sector, the under-employed. Clarey does a great service to this audience when he repeatedly reminds them that the new situation is not their fault. They trained, and educated, and worked for a career path that is no longer possible. Instead of getting depressed, Clarey suggest they get revenge. If a group of people came in and destroyed your country, destroyed your family, destroyed your life, and stole your future, your natural, mentally healthy reaction would be simple - revenge. You would hunt those people down and kill them. Unfortunately it wasn't some roving band of post-apocalyptic bandits that did this to you, it was the electorate of the United States. Mind you, he doesn't go on to say you should kill the Obama voters here. He explains how you can flip the dynamic to where you are in control. Where your reaction to the new socialist rule is the opposite of what they want. Enjoy the Decline is a good book to help get your head around the new reality. Clarey is not making anything up. He is an economist and he gives it to you straight. This book is full of tough love, but it is a timely, paradigm-shifting tool that will introduce new concepts that will help you Enjoy the Decline. For men who find themselves depressed over the current employment situation and your assumed role as the family's bread-winner - PLEASE read this book. You will see what you don't see now. You will heal. 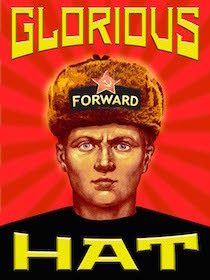 A hearty Ushanka Tip to Aaron Clarey for a great book. Thanks for advertising our Commie Obama Hat on page 206! We'd consider selling our copy for $288, but it is a personalized signed copy (that we purchased). So it is only available when you can pry it from our cold dead hands. Karl and the Captain enjoying the decline!